Dive into an amazing underwater world at SEA LIFE Blackpool. It’s one of the 12 SEA LIFE Centres in the UK with more than 50 dazzling displays and over 2,500 spectacular aquatic creatures. It’s been open for more than 20 years here in Blackpool. Step beneath the waves and get closer than ever before to the creatures and features of the world’s oceans. Journey from the coast and sandy shallows of the great British shoreline to the equatorial rainforest of the Amazon and into the tropical depths of the ocean. Meet tropical sharks, colourful reef fish, turtles, rays and seahorses; SEA LIFE Blackpool is the perfect way to experience the wonders of underwater life without getting wet! DON’T FORGET – You can also get 50% off the other great Merlin attractions in Blackpool with a local residents discount card. 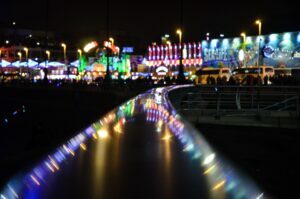 Four Corners of the World opened at SEA LIFE Blackpool at Easter 2019. The new display explores four different sets, all created around man made wrecks taken over by marine life. 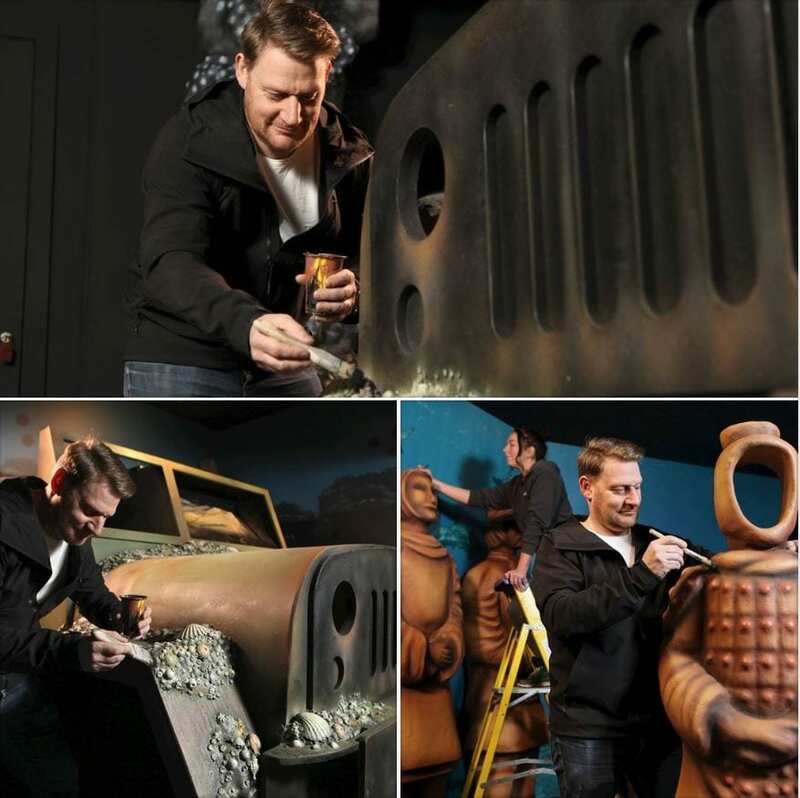 Famous landmarks such as the Terracotta Warriors are recreated, in underwater worlds from Asia, Africa, Europe and America. You can also find out about the many local wrecks off the Fylde Coast. Such as Nelson’s famous flagship HMS Foudroyant, which famously ran aground to be wrecked off North Pier in a hurricane-force storm in 1897. Amazing creatures include: Leopard eels, Dwarf fuzzy lionfish, Brittle stars, Spider crabs and Flashlight fish. Plus Mandarin fish who were voted the most beautiful fish in the world, plus many more. To celebrate the opening of the new Four Corners of the World display, the staff carved a giant world on the beach. Did you see it? And from 10am until 6pm in school holidays! Turtle Rescue – An interactive journey! Turtle Rescue is an interactive journey at SEA LIFE Blackpool. Lulu is the giant Green Sea Turtle who was the star of the old Blackpool Tower Aquarium before it closed. After the closure of the Aquarium she went off to Brighton for a break. After spending seven years there she’s back on the Golden Mile in Blackpool once again, where she belongs! Did you know that their body fat is bright green because they only eat seagrass and algae. They can also grow up to a whopping 5′ in length! Come to Blackpool SEA LIFE and visit Turtle Rescue to become a turtle care expert. Travel on a real-life journey to understand what’s involved in successfully rehabilitating a turtle. Did you see 1000 turtles on the beach? 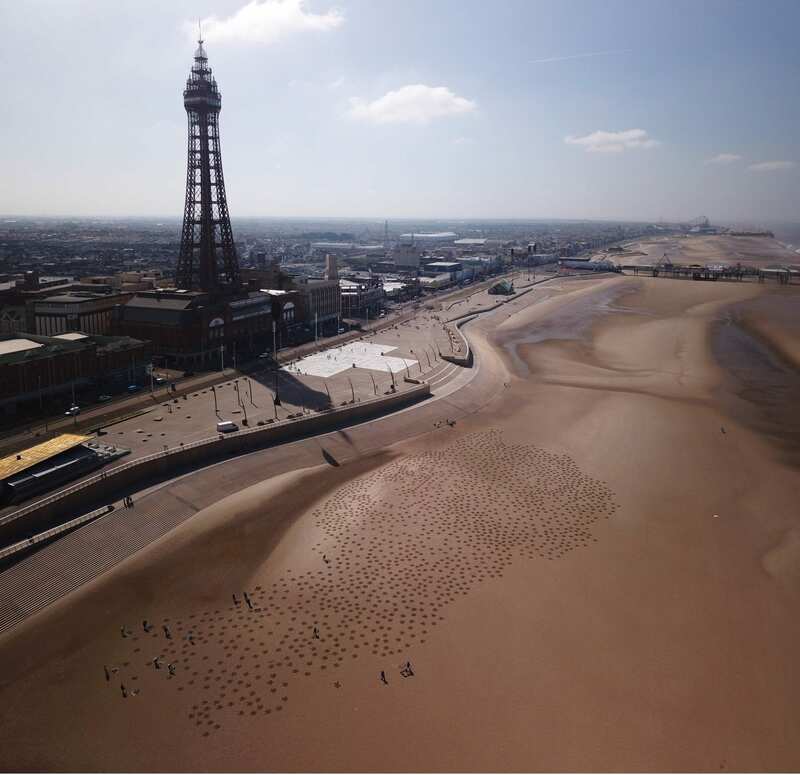 1000 sea turtles were etched onto Blackpool beach on World Oceans Day, 8 June 2018 by the staff from SEA LIFE Blackpool. They did it to to represent the 1000 turtles that are killed every year due to plastic pollution in our oceans. PLEASE don’t leave litter when you visit the beach or seafront. Changing your habits and avoiding single use plastics in your everyday life will also make a big impact! SEA LIFE has a commitment to our oceans, both to the creatures in the water and the ones that live above the surface. We’ve developed best-practice animal husbandry to look after our aquarium exhibits in the best possible way. It draws on the decades of collective experience of our marine biologists. SEA LIFE Trust is our partner charity, protecting the world’s oceans.  SEA LIFE is involved with a number of different campaigns to protect marine life. You can find out more on the SEA LIFE website. Do you love all things fishy? And the bigger the fish the better? Then you’ll LOVE the Shark Experiences at SEA LIFE Blackpool! If you really want to get to know them well, what about being a shark keeper for the day? Or, for the ultimate shark experience, you can even have a sleepover with the sharks! 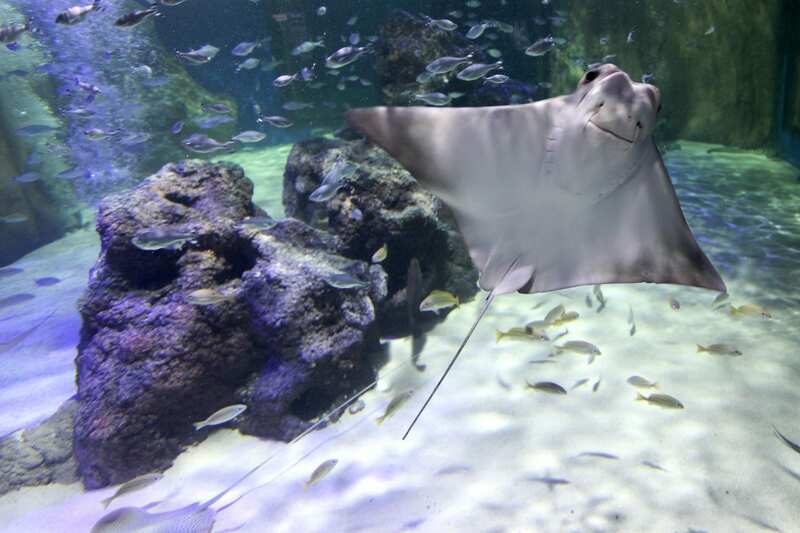 Bring your school trip to visit SEA LIFE Blackpool. Find out about conservation and the marine environment, use our education resources, and enjoy great discounts for school parties. With an exciting new tank and tunnel experience, SEA LIFE Blackpool really is the best place to get up close and personal with the creatures of our amazing rivers and oceans. From the bustle of central promenade at Blackpool, climb the stairs to enter a watery world where over 2,500 creatures large and small swim and live in more than 50 tanks of all shapes and sizes. They’re all created to give you the best possible view into their world. Walk underneath the huge display with great big fish and sharks that you can see from all angles. Look down on the Rays as they come to investigate you! SEA LIFE has spent years perfecting an experience that you feel part of. One that lets you get as close as possible without getting wet! The species that you’ll see are all ones which will flourish when kept in aquariums. Many of which are on the endangered list, they’ve been rescued and cannot be released into the wild or have been born and bred as part of our conservation projects. Expertly looked after in crystal clear water with all the best equipment, it’s a great and protected environment for these animals, which also gives you a feeling for the wide diversity of life in our seas. There’s also a children’s soft play area, and refreshments – both of which are available every day. If you enjoy the beach and the sea and love all things fishy, why don’t you have your next birthday party at SEA LIFE Blackpool? Your guests can enjoy a guided tour with the resident pirate, treasure bags and more, with all kinds of things that you can do and see to make the most of your special day.